JERUSALEM (JTA) — The Hebrew University of Jerusalem has launched a marijuana research center in a bid to take a leading role in the burgeoning field. The Multidisciplinary Center on Cannabinoid Research, announced by the university on Wednesday, will be staffed by leading scientists and doctors, including the Israeli chemistry professor considered the father of cannabis research. It will conduct and coordinate research on cannabis and its biological effects with an eye toward commercial applications. Tam said that no other center in the world has such a broad approach to cannabis research, encompassing agriculture, chemistry, drug delivery, pharmacology and chemical development. In addition to bringing together the 27 cannabis researchers at Hebrew University and its affiliated Hadassah Medical Center, the center will draw on other specialists on campus, including in the fields of nanotechnology and pain and brain science. There are plans to collaborate with scientists and biotech companies around the world. Last month, ahead of its official opening, the center funded research projects on the use of the chemical compounds in cannabis, called cannabinoids, on traumatic brain injury, the cancer-fighting potential of a cannabinoid receptor and the effect of a cannabis extract on pain and painkillers. It also signed a memorandum of understanding with The Lambert Initiative, a medical cannabis research center at the University of Sydney in Australia. Israel is known as a pioneer in cannabis research, which was long hindered worldwide by drug laws and social taboo. Raphael Mechoulam kick-started the field in 1964, when he discovered tetrahydrocannabinol, or THC, the main psychoactive constituent of cannabis. He went on to identify the endocannabinoid system upon which cannabinoids act on the body. At 86, he continues his research at Hebrew University and is part of the center. “It has been shown that modulating endocannabinoid activity has therapeutic potential in a large number of human diseases, hence research on cannabinoids may lead to very significant advances, not only in basic science but also in therapeutics,” Mechoulam said. “Our Multidisciplinary Center addresses many aspects in this promising area, such as cancer, head injury, addiction, bone formation, obesity and others. 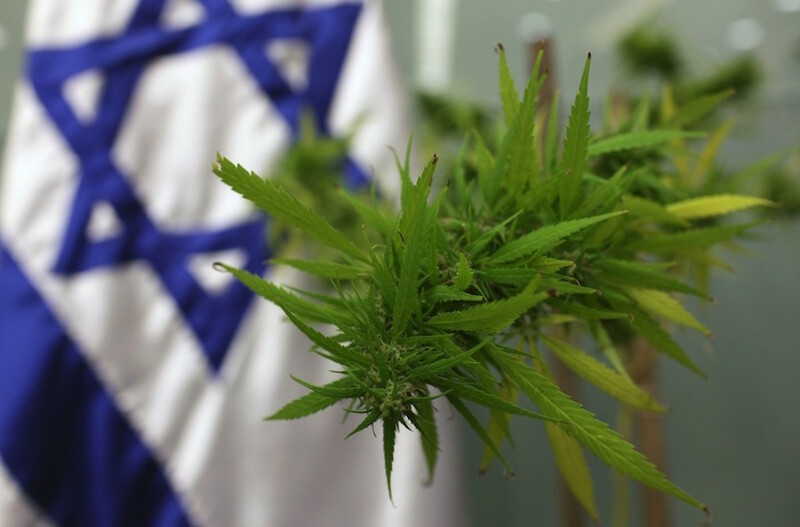 Israel remains a leader in cannabis research, much of it centered at Hebrew University. According to Tam, that is thanks in part to an increasingly friendly political environment. Last summer, the government approved a plan by Health Minister Yaakov Litzman to relax some requirements for obtaining medical cannabis. In January, the Agriculture and Health ministries allocated 8 million shekels, or about $2 million, to fund research on medical cannabis growth, biochemistry and medicine. In February, Cabinet ministers backed legislation to decriminalize recreational marijuana use. But that will not affect Mechoulam’s work; he famously claims never to have smoked a joint.